Why should I go for abroad to study? You can expect a good standard of education and living conditions abroad. The first-hand experience of studying and living abroad may help you to get international exposure. By studying/working with people of different cultures you can share skills and their knowledge will be of great benefit to you. This kind of overseas education and exposure has gained the high level of acceptance in the industry and these degrees are well recognized all over which can prepare you for the global marketplace. Who is eligible for International Education? Practically everyone with the minimum required academic qualifications like 10+2, Graduation or Post Graduation is eligible for pursuing higher education. What you also need is the basic aptitude for the intended course of study and professional guidance and planning to succeed with your plans to study abroad. Sure. The one big reason for you to come to us is that you would maximize your chances of success and be completely assured of having made the right decision based on your capabilities. We are pioneers in the field of Education with over 10 years of experience and expertise who are committed to building successful overseas study and careers. We have placed many students so far and will continue to place students in coming years. Visa documentation and meeting the admission requirement part is very crucial and by opting for our services one can avoid costly and uncorrectable errors. We constantly strive to maintain and improve the reliability and quality of our services. We offer a gamut of course options for both beginners and professionals to acquire, develop, upgrade their knowledge and skills. We offer personal guidance and expertise at all stages of the procedure. Our counselors provide comprehensive information, care and support for the educational opportunities and also help students to develop the skills needed for admission. We study each case individually via personal contact with the student or the parents and recommend the most appropriate college, university and programs corresponding to the desires, ability, motivation, and vocation of each student. We provide guidance for Educational loans, Scholarships and Learn & Earn options in some of the countries. We also offer Pre-departure briefings, assistance for travel arrangements and Post Arrival preparation. Above all our services are Free* for the students. Able Academy represents a range of Institutions and offers their courses to prospective students. We listen to the students and help them to make the best choice. In order to make the right choice, we study each case individually via personal contact with the students or the parents and recommend the most appropriate college, university and programs corresponding to the desires, ability, motivation, and vocation of each student. We represent universities, colleges, and schools in Australia, U. K, Canada, and Europe. Handbooks, brochures from institutes and audiovisual resources are also available to give you details about the course, institution, and country. Experienced counselors guide you through the entire process of arranging your study abroad program right form selecting a course, institution and ensuring safe arrival at your chosen destination. Our counselor can give you personalized counseling and offer study option based on your qualification, work-experience financial plan, and other preferences. Able Academy provides assistance with English Languages proficiency tests such as IELTS and TOEFL. Beginning with making your statement of purpose, certification of credentials and forwarding them to your selected institution for admission, our counselors guide you till the stage of submitting your visa application to the High Commission or other appropriate authorities. Upon receipt of the Visa, the counselors help with the process of tuition fees paid to the institution and arranging temporary accommodation and airport pick-up in your destination country. Yes, why not? If your score and academics are sound, we will apply to the right university where you have the brightest chance for financial aid. We can also help you with Bank loan process. How do I select the right program / course? The option for courses ranges from Diploma, Bachelors and Masters. There are many universities/colleges offering programs of study in IT, Medicine, Engineering, Management, Arts, Science, Paramedical Sciences, Tourism, Hospitality and a host of others, at various academic levels. Choosing the right program can be a bewildering task even to the most knowledgeable. Needless to say that the correctness of this decision is going to make your future career. So, do it judiciously, with professional help from Able Academy. What should I look for before selecting a Program / course? Recognition and validity of the program. Job opportunities for successful completion of the program. Availability of financial aid for the program. This question can only be answered by finding out what course one wants to do, and if those courses offered by the universities in that country, and finally what are the opportunities after finishing the course in that country. Which University / college should I join? Does it offer programs of your choice? Availability of on campus and off Campus jobs. There is no such thing as the “best” university. Almost all Universities are excellent in different areas. The popularity of the university depends on the individual preferences and perception and also on the course one is selecting. We would recommend university depending on your qualifications, grades, financials and the courses you wish to apply. Each institution has it’s own entry requirements. There is no entrance exam required but each University / College has different requirements. 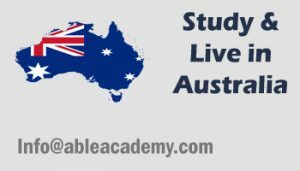 Most require English proficiency exam that is IELTS (International English Language Testing System) which is mandatory for Australia, UK, Etc. One can also take TOEFL (Test of English as Foreign Language). We offer to coach for IELTS and TOEFL you can contact us for further details. Undergraduate degree programs may require the math portion of the SAT (Scholastic Aptitude Test). Graduate degree programs may require the GRE (Graduate Record Exam), the GMAT (Graduate Management Aptitude Test) or other standardized tests given by the Educational Testing Service (ETS). Is IELTS/TOEFL required for studying abroad? The answer is yes, it is required in all countries. IELTS/TOEFL depends on the course & country you choose to study. No, but you must have good verbal and written communication skills in English. “Credits” are the currency of America’s higher education. The American university system is a credit-based, not comprehensive exam-based, system. Students make progress toward receiving their degree by accumulating credits. One credit is roughly equivalent to one hour of class time. Students are expected to attend and participate actively in all classes. Most undergraduate degree programs require 120-130 credits to graduate with a bachelor’s degree. Students on a semester (fifteen-week) system usually take fifteen credits a semester. Each course normally counts for three credits. Most students accumulate on average thirty credits per academic year. The academic year normally spans the months of September through June. The student must be a “matriculated” student to have the student’s “credits” count toward a degree. This varies from country to country and college to college. If you are planning to study abroad you must apply at least 4 to 5 months before the course commences, as the admission procedure takes at least 4 to 5 weeks and visa procedure takes another 5 to 6 weeks approx and it varies from country to country. Besides, you would also need some time for your own preparation such as shopping for personal belongings, meet your relatives before you depart to your new study destination. In some cases, the entire process can be completed in a month. In some cases, it may take a year to complete the entire admissions process from application to acceptance and start of classes. In any case, start early. In many other places, deadlines occur in March and acceptances are sent in April for September enrollment. Start early! Start now! Because the complete admissions process is long, begin the application process soon. Do not wait until the required TOEFL / IELTS score is obtained. The student can apply and be admitted as a “conditional admit” at any University/college. This means that the University/college has admitted the student on the student’s past academic record from the student’s home country and is waiting for the student to obtain the result. We can help the student from A to Z of the admission process. You must meet our counselor and take counseling for the course you are interested to study. Once you have narrowed down on the course, you need to complete the application form of the institution which you have selected and provided all relevant documents such as your IELTS and TOEFL score, 10th, 12th mark sheet. If you have completed your bachelor’s degree and are applying for masters then your undergraduate mark sheets and degree certificates are also required. If you don’t have degree certificate you can apply for provisional degree certificate. Overseas education is expensive but gives you value for your money by opening global career opportunities for you. Your major expenses would be incurred in the tuition fees and living expenses which varies from the course and country that you choose. The other major expenses would be on travel, visa, and shopping. How much more do I have to spend for my tuition fee abroad when compared to a similar course in India? For an example, the cost of an MBA course in India will be around Rs.3 to Rs.4 lakhs and if you wish to study abroad we have options starting from approximately Rs.4.5 lakhs to Rs.15 lakhs. What is the cost of living abroad? It will vary according to your chosen country and your own lifestyle. To know more kindly contact our counselors. Will the University / College provide me accommodation facility? Yes, the University/college can arrange your accommodation but the accommodation fee is not included in your tuition fee. Yes very much. You can work up to 20 hours per week part time and full time during the vacation in Australia, U.K, and Ireland. In Canada, you can work while you study as a part of the course for some of the courses. There is a very limited number. of scholarships available for the international students and the competition for the scholarship is very intense. Our counselors can give you a better idea based on the course and the university you wish to study in. If I have been refused earlier, a student visa of a country then can I apply in that country again? Yes, you can apply not only in that country but in other countries as well. Do share with us the details of the visa refusal and we will guide you through the process of preparing proper documentation to enable you to get the visa. 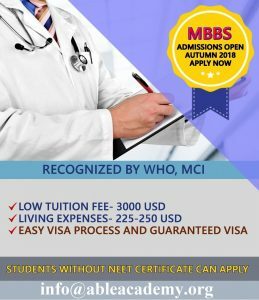 If I get admission secured and visa done then what should be the next step? The next step will be planning your trip and in this, you can surely take the help and advice from international student advisory. We will also help you by arranging your Air-Ticket, foreign currency, and Travel Insurance. We will also give you pre-departure orientation, which will fully prepare you to commence your journey as well as studies abroad. Are there any restrictions on my personal items that I can take abroad? Generally, there is no such restriction but whatever things you are carrying with yourself, you should declare them in the declaration form that will be provided to you by the Airline staff. What is the best way to handle/carry my money, while I am abroad? Many people use traveler’s cheques as these incur bank fees for every transaction. To avoid this bank fees you could carry currency as well. If you purchase currency, be sure to get denominations that are large enough so that it will not be bulky. What happens if I get sick, when I am away from my home country? There are various Insurance policies available that specialize in student study abroad care issues. For more information on this please contact our office. Can I travel on my holidays? Yes, absolutely you can travel but see to that your expenses will be added in your personal budget. Would I find placement after I finishing my course? It is important to note that Australia and New Zealand Student visa allow clear pathways to immigration for overseas students who obtain a qualification in demand in Australia and New Zealand. You can apply for two years work permit in UK after finishing your course. Can I claim Permanent Residency after completing my studies abroad? Yes, in certain countries you can definitely claim Permanent Residency after completing your studies in that country. You must possess good moral character in the country, must not have any kind of criminal record there and must be a good student.